A new Exped Downmat to replace the broken one. Crusty will be taking one to India, so I'll need one for the hostelling weekend. 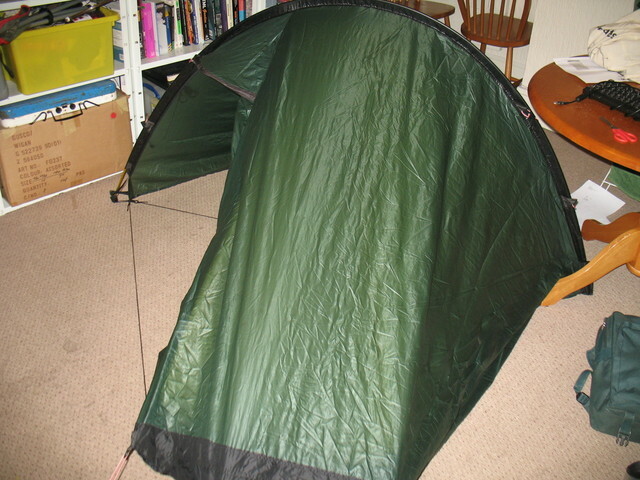 An Alpkit pipedream 400 sleeping bag arrived today. And a sub24h camping trip via Dartmoor is about to be scheduled for the weekend. Yay! Recently, titanium sporks and water purifying drops. We broke a few sporks and wanted to add belt and braces to our Katadyn water filter, which doesn't seem to remove algae from mucky water. I picked up a Snow Peak mini solo Ti cookset at Osaka's version of Decathlon yesterday. Is that because the water emerging from it looks green? Could this be chlorophyll getting through? 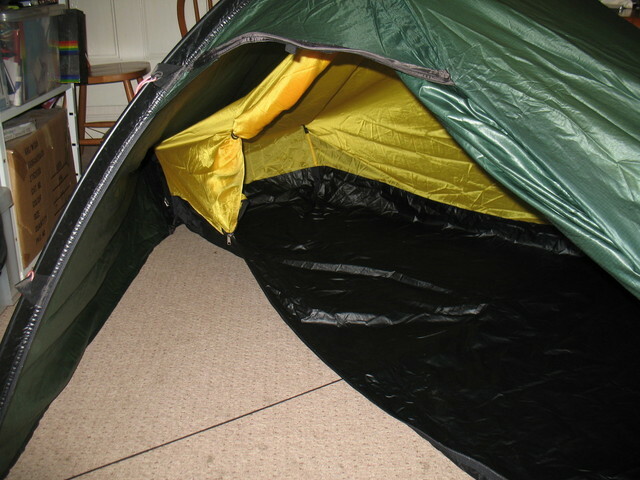 An Alpkit pipedream 400 sleeping bag arrived today. Me too. Importantly, it's black and red the same as my old cheapo Coleman bag, so no change will be noticed (except that it lives in a humungous white cotton sack). Yes, the water looked green and we weren't entirely convinced that it was OK to drink. Having since researched our Katadyn filter in depth, it seems we shouldn't have fretted - it removes pretty much everything harmful. I have been quoted 3 weeks delivery time. Looks brilliant and it gives a weight limil of 145kg. Dunno' iff I'd trust my Lardiness in it though! Alpkit pipedream 400 - almost de rigeur I guess! Tried both this weekend at the Green Man Long Itchington. Cooking took a while but not sure if that was inexperience/lack of skill with the fire or the limitations of the stove, oh and sooty pans to wash up. Having said that we did manage to gather our fuel just lying around, and it was kind of fun to cook on a fire! Hmm wonder if it will pay for itself in terms of meths not used! Does anyone here have any experience of this stove. I know Charlotte had a thread about her home made stove, but those fettling skills are beyond me. I had a sit on one yesterday. It wasn't bad at all. They should start being in shops from early April. A MSR Windpro 2 stove. It can be used with inverted cannisters and has a stand to hold the cannister. It's much wider than I expected - proper useful amount of space in that porch, with about the same area inner compartment as my ORANGE Pro-Action effort. I can just sit up in it, which is fine. Should be a couple of orders of magnitude better in windy conditions, much faster (and drier) to pitch, a tad lighter and generally a bit more stealth. What's not to like? Many thanks to BarryS of this parish. It's a bloody great tent, and perhaps what I'd aspire to for just me. I got one last week and am very impressed with it (and had to pay £30 more than you). Can't wait to get a bit of wild camping under my belt. It's an excellent tent I worked out that I've spent nearly a year living in mine over the years. 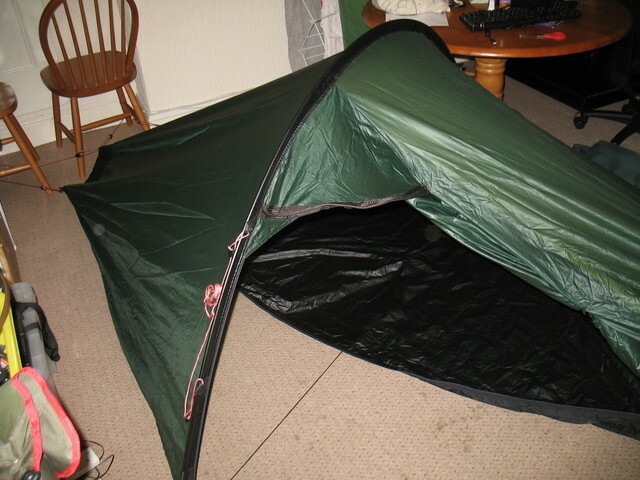 Brought me a Nallo 2GT to add to my tent collection. It's a bugger carrying those chairs around to hold it up though!! You think those are bad, it's the radiator pipes that are really awkward! It is mainly the four poster bed I have problems with.